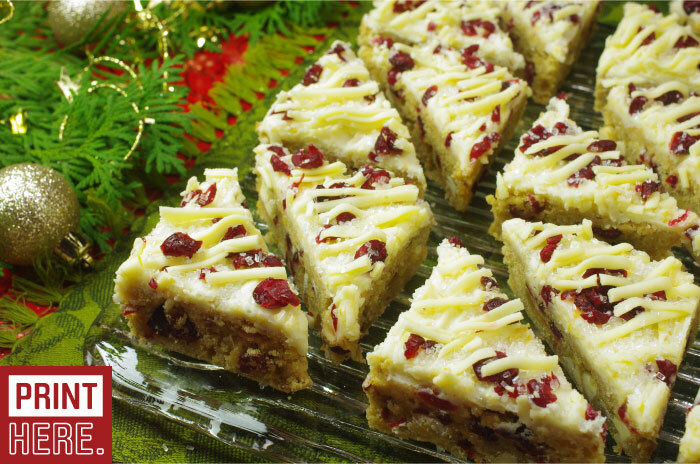 These cranberry bars have entered the pantheon of holiday traditions thanks to a well-known coffee shop. Similar, yet different, our version carries the flavors of the store-bought bars into the home kitchen with a few tweaks that we think make them even better – see if you don’t agree! One of our additions is a sprinkling of coarse sanding sugar that allows the bars to glitter on the holiday cookie plate and grab all the attention! They are an easy addition to your baking repertoire this year and for years to come. (1) Preheat the oven to 350°F. 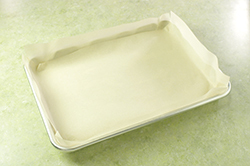 Prepare a 9 x 13 baking pan by lightly greasing with butter. If desired, line the pan with a criss-cross of parchment paper. 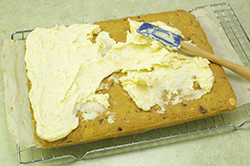 This will allow you to remove the entire baked blondie layer as one prior to frosting and cutting. 2. 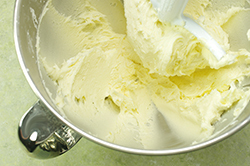 Cream together the butter and sugar in a medium bowl with a hand mixer, or in the bowl of a stand mixer outfitted with the paddle attachment. Add the eggs one at a time incorporating well after each addition. 3. 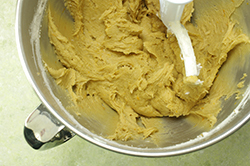 Add the vanilla, salt, cinnamon and orange zest to the developing batter. Mix until just combined. 4. 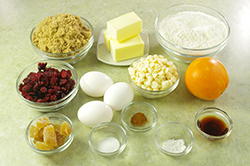 In a separate bowl, mix the flour and baking powder together until the baking powder is evenly distributed. 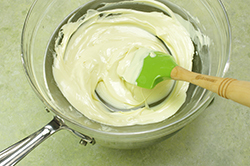 Add the flour to the batter in two batches mixing after each addition until just combined. 5. 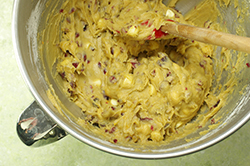 With a wooden spoon or silicone spatula fold in the chopped cranberries, white chocolate chips, and minced candied ginger until evenly distributed. 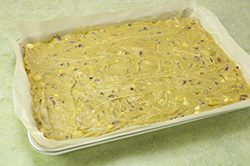 Spread the batter evenly in the prepared pan and pat into place with the bottom of a glass or slightly wet fingers. 7. Bake for 18-22 minutes, or until the cookie base is golden and the center set. A light finger press in the center should bounce back. Avoid over-baking. 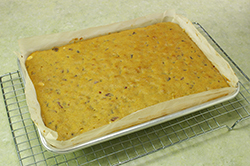 Allow the cookie base to cool slightly, then remove from the pan by using the parchment paper lining as a sling to lift and transfer to a cooling rack. Allow cooling to continue until completely cool prior to frosting. 8. 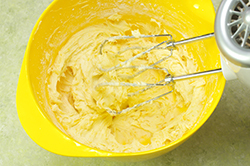 Mix the frosting in a small bowl with a hand mixer, or in the bowl of a stand mixer by combining the cream cheese, powdered sugar, orange zest, and vanilla and combine well. Spread evenly on the fully cooled cookie base. 9. 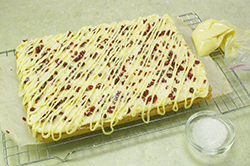 Garnish the top by sprinkling the remaining quarter cup of chopped cranberries across the top of the frosted bars. Melt 1/2 cup of white chocolate chips over a hot water bath. 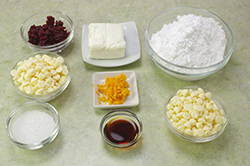 Cut the butter into half-inch cubes and add to the melting chocolate stirring to combine well. Drizzle over the top. (Use a pastry bag outfitted with a round tip, or a plastic bag with the corner cut off may assist in controlling the drizzle.) Sprinkle the top with the white sanding sugar or confectionery glitter while the topping is still wet. 10. Chill the bars well. Cut into triangles by first cutting rectangles 3 x 4, then cut each rectangle diagonally into triangles.